Home // Men's Fashion Guides // Tailored Trousers – The Next Menswear Classic? Tailored Trousers – The Next Menswear Classic? The Rise Of A Classic? One of the best (and worst) things about fashion is that it is constantly changing and evolving. Each season brings with it a raft of new trends and looks to add to our wardrobe, yet increasingly, old favourites – those items that are often considered timeless – are subtly reinvented or updated under the radar. 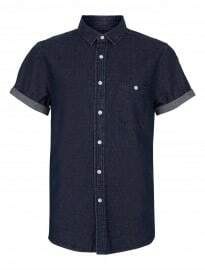 We here at FashionBeans have always been vocal advocates of a classic and versatile approach to dressing. Although this ethos centres on building a capsule wardrobe full of pieces that never fall out of style and undergo minimal changes from one season to the next, some items that fit into this philosophy have taken time to cement themselves as staples. These pieces often spend a couple of years on the periphery of fashion’s consciousness before going mainstream. We saw it four or five years ago with the rise of chinos and brogues, and more recently loafers, tweed and even sports coats/blazers went through the same process. 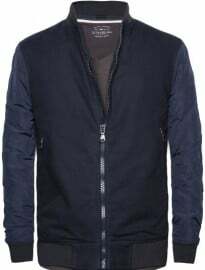 In fact, the majority of the pieces we now consider to be timeless and classic have only become wardrobe staples in the last half decade, coinciding with the explosion of the men’s fashion industry. It’s important at this stage to differentiate between tailored trousers and suit trousers. These terms are often used interchangeably, but in the predominantly smart-casual context we will be discussing them today, they are definitely two separate entities. If you want to begin incorporating tailored trousers into your everyday wardrobe it’s imperative there is a clear separation between your work and off-duty styles. It should never look like you’ve worn your suit trousers by mistake – it’s an easy trap to fall into and will make any casual outfit instantly appear stuffy or uptight. There are quite a few ways that you can prevent this from happening. Getting your trousers altered is perhaps the easiest and most definitive way of creating such a divide. For starters, the standard rules of length don’t apply – you can adjust to suit your taste, so you might first consider cropping. How far you get them taken up comes down to personal preference. Hemming to around ankle height is good for spring/summer, when you want to flash your ankles/socks, while a small break is appropriate for autumn/winter, when the wind starts to bite but you still want to show off those fantastic boots. Texture is another key consideration. If you don’t want to alter yours, seek out styles that look and FEEL different from traditional suit trousers. Texture has the power to completely change the aesthetic of a pair of trousers – it also adds depth, character and individuality to any outfit. Brushed cotton, linen, hopsack, herringbone, tweed and lightly patterned (think on trend checks or houndstooth) versions are a great place to start. Darker colours will always give off a more formal air than their lighter counterparts. Navy, grey, charcoal, even black, will smarten up your casual wardrobe without forcing you into an uncomfortable corner – something to remember when choosing the trousers most appropriate for you. The innate beauty of all tailored trousers is their ability to be dressed up or down. You can combine them with monk-straps and a double-breasted blazer one day and a white tee and trainers the next. When deciding on outfit colours you only need follow one rule: light on top, dark on bottom (or vice versa). Opting for a pair of trousers in a brighter hue will help create the clear separation between casual and formal we’re looking for. 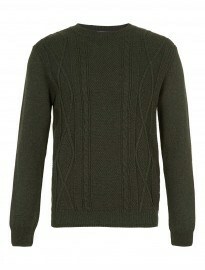 Colour is one of menswear’s strongest features at the moment and it’s important that we capitalise on it. Spring/summer is the perfect time to experiment with bold hues. Affordable brands like ASOS, Topman and H&M are already producing tailored trousers in every shade imaginable, so you should be able to find a pair that complements your existing wardrobe, current confidence level and personal style. When working coloured trousers into your wardrobe, focus heavily on tailoring and fit. 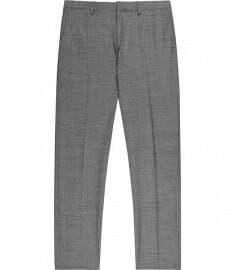 Clean, lightweight trousers need to be cut sharp and worn with confidence in order to look their best. They are undoubtedly a statement piece, so treat them as such – keep the rest of your outfit muted and allow them to do all the talking. Tailored trousers are able to slot into almost any outfit, be it formal or casual. Of course, smarter aesthetics will be the easiest to create but with a little perseverance and just a touch of bravery, you can build some striking and individual off-duty looks too. 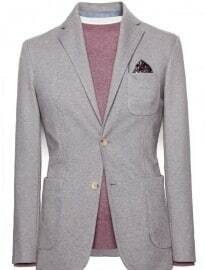 Lighter coloured trousers work extremely well here, helping instantly bring the formality down a notch. Similarly, softer textures like brushed cotton can also relax the structured feel of a pair of trousers without dramatically altering the silhouette, making them the perfect option for Sunday dinner at your parents’ house or a lazy walk around town. However, to maintain this dressed-down feel, you must also pay close attention to the pieces you pair them with – keep everything fitted but not necessarily super-slim, you don’t need to look so sharp in this scenario. Unlike shorts, vests, winter coats and heavy boots, tailored trousers can be worn all year round. 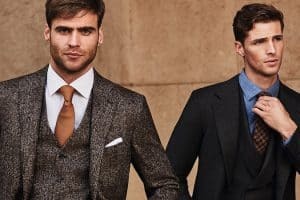 But while they might stick with us through thick and thin, this doesn’t mean you shouldn’t consider the season and adapt your styling approach to suit. Always remember that your entire wardrobe should shift as the weather changes. When it’s all about staying cool in the sun, tweed will only serve to make you feel hot and uncomfortable. Likewise, when the rain is pouring, the wind is blowing and your beard is frosty, those cropped cotton trousers just won’t be up to scratch. Combat this by paying close attention to choice of fabric, along with your other layers, footwear and accessories, making sure you respond directly to your environment – stripping back or layering up depending on the situation. Tailored trousers are a worthy alternative to our much loved jeans and chinos. The time spent floating around the periphery of mainstream fashion has allowed them to mature and adapt, meaning that now, as they step into the limelight, they are more than ready to cement their timeless and classic status. They will add a whole new dimension to your wardrobe and help unlock a lot of its potential, allowing you to experiment with combinations you haven’t tried before or giving you the opportunity to wear something you normally wouldn’t. So, what do you think? Are you a fan of tailored trousers?